A helicopter is powered by its engine(s). 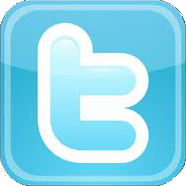 There are two types of engines in use: combustion and turbine. The combustion engine can be separated into the piston and the wankle sub-types. Piston engines are almost exclusively used in (very) light helicopters, although some which are turbine powered have recently come onto the market. Turbine engines are more expensive than their combustion counterparts. The main advantage of turbines is their high power to weight ratio. They are also more reliable than the combustion engine. Due to the weight of a combustion engine, it is placed below the main rotor shaft in order to balance the machine. A turbine engine is often placed at the roof of the hull. Piston helicopters essentially come in two types: carbutor or turbo charged. The latter has the advantages of a slightly higher power to weight ratio, an output power that is less dependent on altitude, and the lack of a requirement for carbutor de-icing (as there is no carbutor). The price of these advantages is higher costs and increased complexity (with a higher probability of failure). 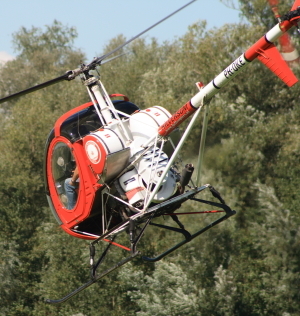 More recently, some helicopter designs are exploring the use of diesel engines. Some models use a wankle engine. Its main advantage over a piston engine is its compact and light-weight design, and it is capable of delivering a smooth, high RPM power. A wankle motor works by rotary design, which converts pressure into a rotating motion. It is quiet (compared to piston engines). When a helicopter has to be able to fly with a single engine failure, more than one engine must be employed. Helicopters that are to be operated in crowded areas (cities) or above the sea always use 2 engines. In some rare instances, three engines can also be installed. The first and primary function of the transmission is reduction gearing, since engines turn much faster than the main rotor shaft; for example, a combustion engine turns approximately 10 times faster than the main rotor shaft. The gear reduction of a turbine powered helicopter is in the order of 100:1. The transmission must be able to cope with the high torque values produced when driving a rotorsystem. The second key function is the transmission of the main rotor thrust to the hull. An important aspect of the transmission is its free-wheeling unit. This unit guarantees that when the engine stops (due to a failure), the main rotors can continue to rotate freely, preventing a sudden rotor RPM decrease. This is an important feature, which makes it possible for a helicopter to go into autoration when the engines fail. In this situation, the helicopter 'wind mills' down in a controlled manner. The transmission also drives the tailrotor. 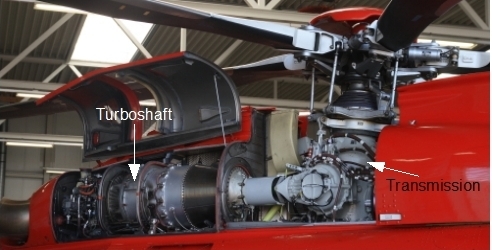 Because the requirements of an operating tailrotor are still mandatory in autoration, the transmission must connect to the tailrotor from the main rotor shaft site, and not from the engine site, which will not be running in these circumstances.